Kelly Thiebaud is an American actress. In 2005, Kelly appeared in the role of Rebecca Moore for "Criminal Minds." In 2007, Kelly appeared on the NBC one-hour drama "Chuck," as Evelyn Shaw, Lady Agent. Kelly also had a part in 2009 on the mystery series, "Castle" playing the role of Chloe Graves. 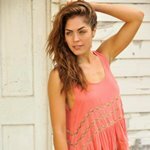 In 2010, Kelly Thiebaud appeared in a multiple episodes of "The Secret Life of the American Teenager," playing the part of Karlee. 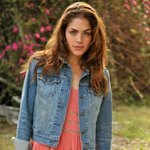 In 2011, Kelly Thiebaud appeared in the "Hostel" horror trilogy, "Hostel: Part III" playing the role of "Amy," the fiancée of the lead character. Kelly Thiebaud said, "I'm only doing the beginning and the end. "They go off to their bachelor party and I'm not around, of course. So I'm not a part of any of the like, slaughtering or anything like that, until the end! Until the end, yeah.the I get to have a little fun, you know?" Appearing in a horror movie, Kelly Thiebaud said, "I don't get queasy. Blood doesn't bother me or like body parts being chopped off or anything like that. The psycho-thriller movies I get kind of freaked out about. I can't watch them by myself. But like blood, and gory stuff like that, I'm fine with." Kelly broke the on-set levity with a whoopie cushion. "I've been like cracking jokes with my whoopee cushion and everything like that".